Jotun, a global leader in marine coatings, and Kansai Paint, a leading coating supplier in Japan, have signed an agreement to develop their existing alliance. The partners are now looking to emulate the success they’ve achieved in the Marine segment in the Protective Market. 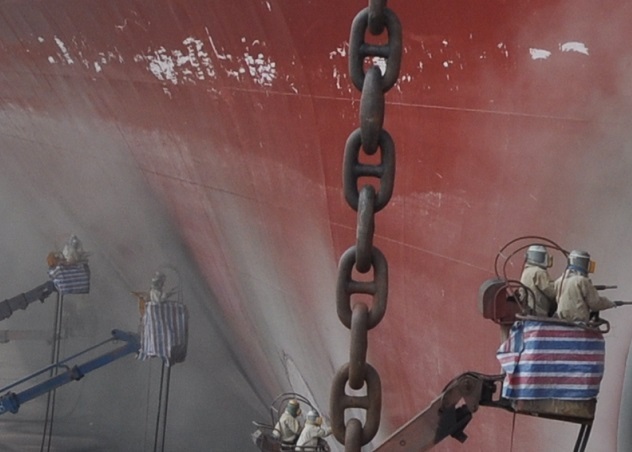 Jotun and NOF Kansai Marine Coatings signed an agreement forming the SeaStar Alliance in 2002, at this time, they had already worked together for many years and the alliance was a development inherent in that long co-operation. The partnership has led to the development of antifouling brands such as SeaQuantum, which is now the world leader in antifouling based on Silyl technology. Over 10,000 vessels have received SeaQuantum applications, providing outstanding fouling protection and unparalleled hull performance for up to 90 months. Jotun’s successful Hull Performance Solutions (HPS) is one of the most attractive investment opportunities in shipping today and fully complies with the ISO 19030 standard, prescribing practical methods for measuring changes in ship-specific hull and propeller performance. The alliance between both companies enables the widest coverage of the global market and the plans are to work towards more exciting innovations, solutions and services together. In today’s market, customers are facing many challenges with regards to new regulations and auditing requirements. It is important to meet the customers’ challenges and expectations. Jotun sees the extension of this relationship as a natural evolutionary step. A collaborative approach to marine has paid huge dividends, sharing knowledge and use one another’s innovation and industry expertise to access opportunities and build a product portfolio of unparalleled quality. The movement forward will leverage technology, segment understanding and global networks to provide innovative Protective solutions that safeguard assets and optimize performance. It’s an exciting development for both companies and, most importantly, the customers. The new agreement signed this fall, covers the global Protective segment. Jotun already has a strong worldwide position in the international market, providing high performance products for sectors such as: wind power, hydropower and thermal (energy); hospitals, stadiums and airports (infrastructure); offshore installations, refineries, petrochemical plants and gas processing facilities (hydrocarbon industry).